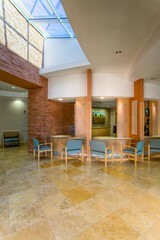 Design Build | Guthrie General, Inc. The concept of design build places the entire project under one cohesive umbrella. At Guthrie General, Inc. Architectural and Interior Design, Project Management and Construction are completed by a single in house team. This significantly benefits the project owner in the reduction of time management and coordination between a number of partners, which in turn reduces costly misunderstandings. Design/Build allows the client to deal with one group to manage the project from start to completion. The concept additionally creates cost savings as the entire team works together to insure the design details are integrated during architectural development. The construction project managers work with the in-house architects to improve design concepts and constructability. 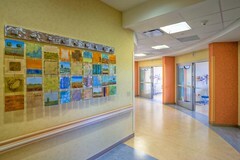 This includes material cost savings, energy efficiency, functionality of the space and overall schedule enhancement. The Design/Build approach streamlines project delivery with one agreement between the client and the design-build team. This simple but fundamental difference saves money and time by transforming the relationship between designers and builders into an alliance which fosters collaboration and teamwork. 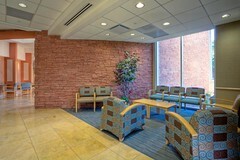 Guthrie General, Inc. has been in the construction industry since 1975 and incorporated In-House Design Build in 2004. 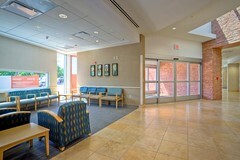 Their primary focus is on Healthcare facilities construction in Arizona and California. 98% of their annual revenue is derived from repeat customers. Faster Delivery — collaborative project management means work is completed faster with fewer problems. Cost Savings — an integrated team is geared toward coordinated efficiency and innovation. Better Quality — design-builders meet performance needs, not minimum design requirements, often developing efficient processes and concepts to deliver a better project than initially imagined. Singular Responsibility — one entity is held accountable for design, cost, schedule and performance. Decreased Administrative Burden — the client can focus on their business rather than managing disparate partners and contracts. Reduced Risk — more likely to encounter challenges working with multiple partners than one proven design build team. Reduced Litigation Claims — by closing warranty gaps clients virtually eliminate litigation claims. To learn more about Design/Build, please visit the Design-Build Institute of America at dbia.org.